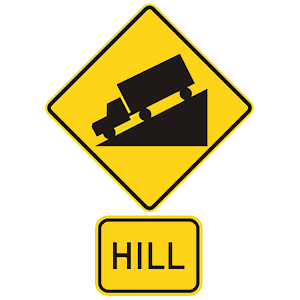 This sign indicates that the road may be slippery when wet. 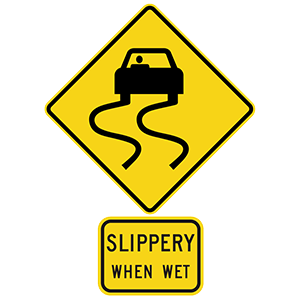 Exercise caution when driving on a slippery road. Look over your shoulder to check your blind spot. Change lanes abruptly or spontaneously. 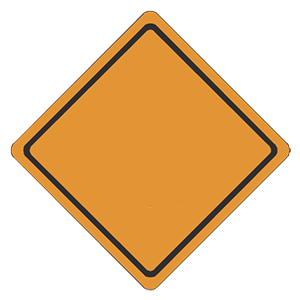 Check for other vehicles moving into the same lane. When changing lanes, you must be sure that there are no vehicles in the space you want to enter. Check for other vehicles behind and to the side of your vehicle by checking your mirrors and blind spots. 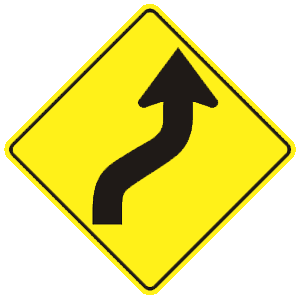 Always use the proper turn signal before changing lanes to allow surrounding vehicles time to react to your movements. Alcohol, in any concentration, is a depressant. It slows all nerve impulses and bodily functions, resulting in a lessening of inhibitions and negatively affecting a consumer's ability to concentrate and stay alert. Closely behind the truck in bad weather because the driver can see farther ahead than you can. Farther behind the truck than you would when following a passenger vehicle. No more than one car length behind the truck so the driver can see you. When you follow so closely behind a truck that you cannot see the truck driver’s side view mirrors, the trucker cannot see you and has no way of knowing you are there. Tailgating a truck, or any vehicle, is dangerous because you take away your own cushion of safety if the vehicle in front of you stops quickly.